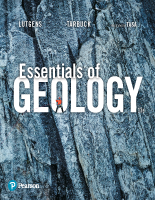 From the renowned Lutgens/Tarbuck/Tasa team, the 13th Edition of Essentials of Geology continues to elevate the text’s readability, illustrations, focus on basic principles, and instructor flexibility. This revision incorporates a structured learning path and reliable, consistent framework for mastering the chapter concepts. With a fully integrated mobile media program that includes new Mobile Field Trip and Project Condor quadcopter videos as well as new animations and videos, this edition provides a unique, interactive, and engaging learning experience for your students. 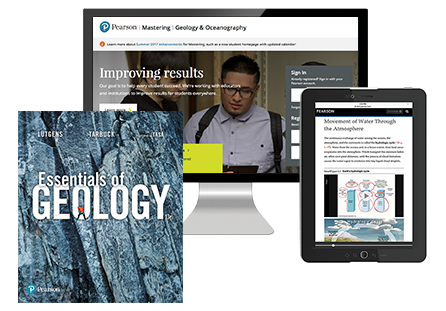 MasteringGeology is an online homework, tutorial, and assessment program designed to work with this text to engage students and improve results. Interactive, self-paced coaching activities provide individualized coaching to help students stay on track. With a wide range of activities available, students can actively learn, understand, and retain even the most difficult concepts.